JGB237B Paua / Kopang Bracelet - White PearlJGB239B Starfish / Coral Bracelet - Turq. 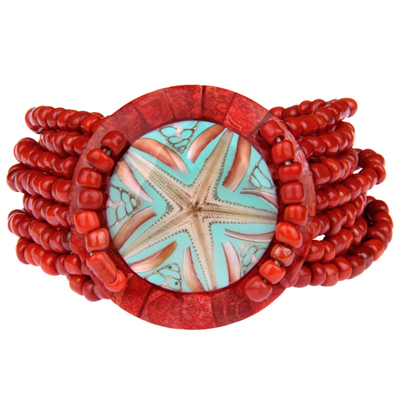 Bracelet with starfish, coral, chong-chong, resin & red glass beads. Necklace with starfish, coral, chong-chong, resin & red glass beads.